I have been Dr, Lewis's patient for 28 years and I considerate it a privilege to have him as my physician. He is am outstanding doctor and a person of great integrity. One can always trust his advice. Dr. Lewis provided lots of useful information. Appreciate it. Very Informative, and to the point. Excellent, I felt seen, heard and taken care of. Pleasure to meet with. Great "bedside manner", with a kind and warm personality. 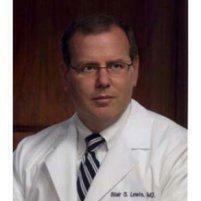 Dr Lewis is always thorough and responsive. I went in with an issue and left with a plan to resolve it. Pleasant, careful, uncrushed, reassuring visit providing guidance for dealing with presenting problems. Highly recommend this "Real Doctor" and his office. Planning one's colonoscopy is not exactly an activity to look forward to. But Dr Lewis makes it pretty stress free. Also very pleased with office visit; seen right away - no waiting, and all the pre-test prep was fully explained is simple terms. 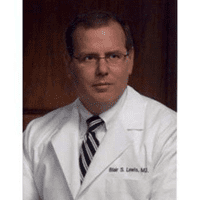 Dr. Lewis is an incredible gastro Doctor. Brilliant and caring. Dr. Lewis's office staff has been with him for many years. The care is incredible. Dr. Lewis explained an issue I've been having that other doctors could not figure out and was both sympathetic and informative as always. I cannot recommend him more highly, and he runs on time! Dr. Lewis was right on time, no waiting at all. He is easy to talk to and gave me two possible solutions to my problem. He had my records available and could easily refer to past procedures. Friendly, warm, helpful, Excellent suggestions. Very clear and precise. Excellent.